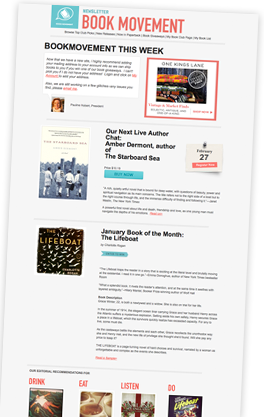 Get the Top 100 Book Recommendations from 48,000 Book Clubs, updated weekly. From the celebrated author of Conversations with Friends comes “a stunning novel about the transformative power of relationships” (People), hailed as “a masterpiece, pure and simple” (Minneapolis Star Tribune). The child star that was left behind is about to get her moment to shine in this swoony romantic comedy inspired by a unique, beloved facet of pop culture history: The Mickey Mouse Club. Gayle Brandeis’ mother disappeared just after Gayle gave birth to her youngest child. Several days later, her body was found: she had taken her own life in a random parking garage.